Read and browse Lindsay Windows reviews from consumers and homeowners who can shed light on the quality, service and cost range for these home replacement windows. We are busy building a new home, but went over budget. We are desperately trying to cut our budget by around $30,000, which means we need to change our window choice. Originally we had chosen Marvin Integrity, but they are too expensive, so our builder said we should have a look at the Lindsay Windows, which apparently are vinyl. I don’t seem to be able to find much information on these and could do with some advice. I was considering Lindsay Windows a while ago and was quite impressed with them. Apparently they have been going since 1947 and I know they just opened up in Chicago. If you go to their webpage and have a look at the top right you’ll find their marketing link. If you choose than and then choose your window you will find all the performance numbers you need. In the end I had quotes from Sunrise, Lindsay and Okna and went with the Okna windows. I was undecided when it came to choosing windows and spoke to two Lindsay Window representative, both suggested I choose the Pinnacle series, which is the premium range from Lindsay. The Sunview and Earthwise ranges are apparently the lower range offered by Lindsay. I spend months researching windows, but what these two representatives told me really stuck. I sat with aggressive sales men giving me their pitches and trying to get me to make an instant decision, but in the end I returned to the Lindsay Pinnacle series. I have had these windows for a while now and am so happy I chose these over any of the others on the market. We currently don’t have a price range for the Earthwise, Sun View & Pinnacle Models offered by Lindsay Windows. You can, however, check out our window replacement cost estimator for pricing information on many styles, frames and brands. We chose Lindsay windows some time back and unfortunately the sales men never told us about the Pinnacle range. The ones we go are such poor performers, they leak and have such high air filtration you can see the drapes move when the wind blows. The installation was very poor, which has probably had an impact on the overall performance. Eventually we purchased new replacement windows and took the Lindsay windows out and they weren’t installed properly at all, they actually just fell out of the opening. It was disgusting to think we paid good money for them and didn’t get any assistance from their customer service department. I have been with Lindsay Windows for over twelve years and handle many complaints on a daily basis with the majority being poor installation. What many people don’t realize is that installation is just as important as the quality of the window. Poor installation can lead to leaks. Basically the windows are manufactured in a way where installation must be square. If the installer doesn’t do this, it will result in poor performing windows and then complaints. The tolerance of the windows is around 0.05 inch, or 1/16th inch, this allows the window to expand and contract with the weather chance. 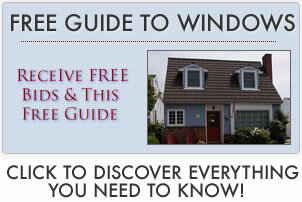 Over the years I have helped friends and family install Lindsay windows in their homes and never had a day’s problem. Installation is such an important element of any window replacement.